The Web Team develops and enhances websites that are essential for conveying and accessing key University initiatives while also providing a variety of visual design strategy and content. Team members contribute their expertise in project management, writing and editing, visual design, Web design, video and multimedia production, information architecture, usability and accessibility standards, and site development. 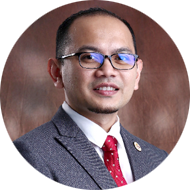 Dr. Farhan Mohamed is currently a Senior Lecturer in UTM School of Computing and Deputy Director at the Office of Corporate Affairs. 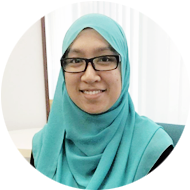 Ms. Idiana holds a Bachelors Degree in Information System Engineering from UiTM and currently the IT Officer at the Office of Corporate Affairs. 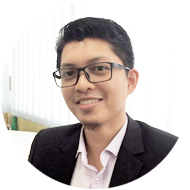 Mr. Sharul holds a Bachelors Degree in Computer Science from UTM and also an IT Officer at the Office of Corporate Affairs. 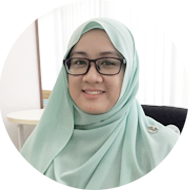 Ms. Nur Amalina holds a Diploma in Graphic Design from Johor Bahru Polytechnic and currently the Web and Multimedia Graphic Designer at the Office of Corporate Affairs.